Michelle is Lux Arati’s Artistic Director and lead choreographer. She is a multifaceted dancer, instructor, and costume designer based out of Philadelphia. On stage she has been performing Tribal belly dance for over ten years and the classical Indian style of Bharatanatayam for five. Behind the scenes she has enjoyed designing costumes for herself and fellow performers. Her creations have traveled across the globe with ArcheDream for HUMANKIND and have been showcased back home at venues like the Painted Bride with Usiloquy Dance Designs. Her work has also won top awards at the international World of Wearable Art. Xtina is an auteur of the creative underworld. Classically trained in fine art since grade school, she first incorporated the elements of performance art and costuming into her work in 2004 while at the Maryland Institute College of Art in Baltimore. 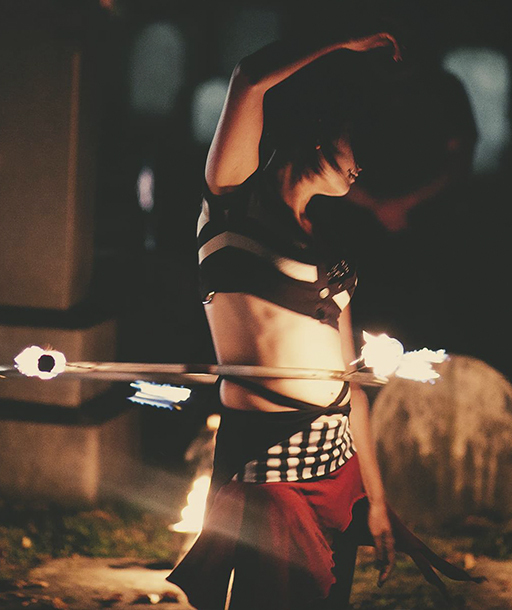 After relocating to Philly in 2007, she found her niche within the city’s extraordinary burner community, and began cultivating her skills performing with fire, object manipulation, bellydance and burlesque. Since then, Xtina has earned her place both behind the scenes and on the stage, by organizing and performing in variety showcases including Scorch Fire Show and The Russian Roulette Variety Show (2011-2013), and has performed at a number of festivals, parties, private events and black-tie galas in Philly and beyond. 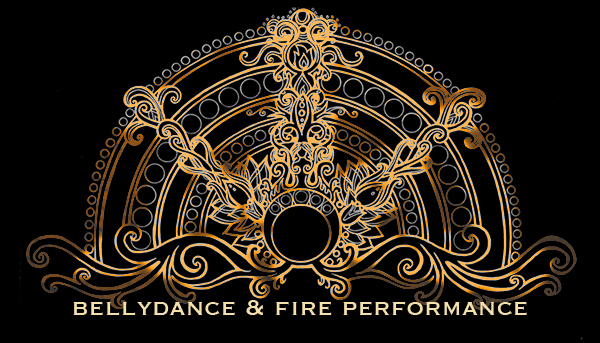 Xtina joined some of the best fire performers on the east coast in 2012 with Aish Tamid, Philadelphia’s fire conclave, at Burning Man in Black Rock City. 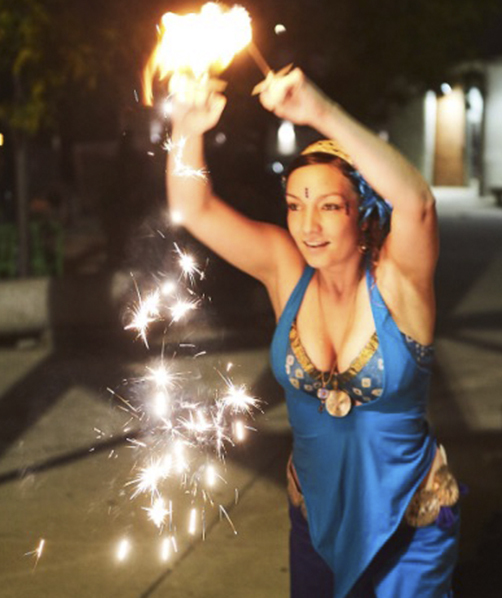 Currently she performs in and around the city with fire/bellydance troupe Lux Arati, continues to hand-craft the majority of her costumes and accessories for the stage, and regularly exhibits her paintings, drawings and prints. Nicole has been belly dancing on and off since 2001. When she moved to Philadelphia she became one of Michelle’s students, and co-founded a student troupe, Rag Tag Tribal. 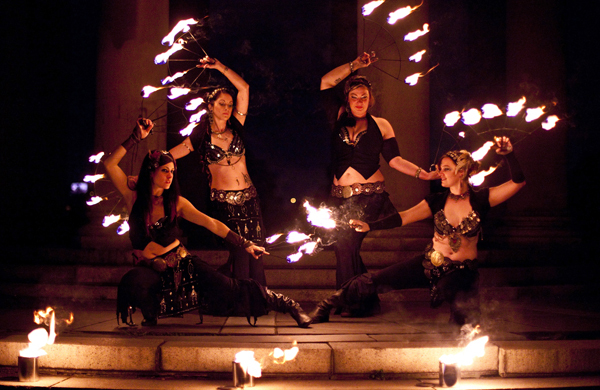 She joined Michelle in a collaboration with the fire dancing ladies of Scorch, which inspired the formation of Lux Arati. 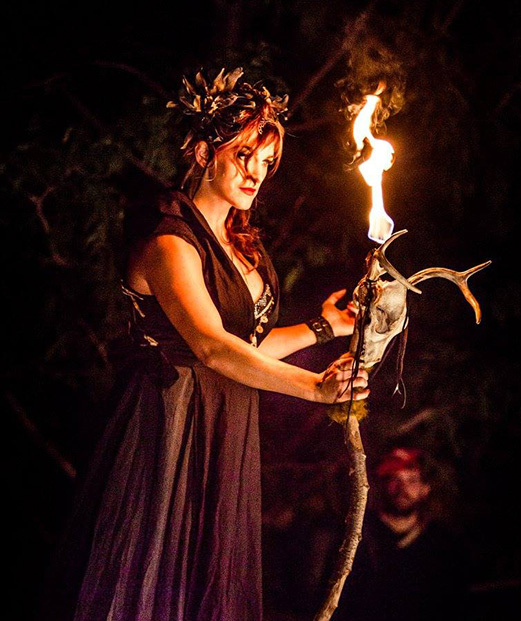 She’s excited about adding new fire tools to her repertoire and bringing the flow arts to new crowds. She’s also Lux Arati’s business manager, webmaster and archivist, and even though she moved to Brooklyn she makes the trek to back to Philly regularly to perform with her Lux Arati ladies. By day, Nicole is a freelance video editor and motion graphics designer, and slowly working on a podcast with her identical twin sister. Born and raised in New Jersey, Tara grew up with a strong interest in both the visual and performing arts. She began dance classes at the age of 4 and acting classes at the age of 12. A lover of all art forms, Tara majored in Theater at the University of the Arts in Philadelphia and graduated in 2006 with a B.F.A. in Acting. Since 2008, Tara has dedicated nearly all of her creative efforts into the non-profit theater company, ArcheDream for HUMANKIND. She has had the pleasure of performing as a dancer/actor in over 50 shows around the country and has held many roles including director, tour manager, workshop coordinator, designer, and administrator. Tara joined Lux Arati in 2012. With her background in dance and her experience on stage, she is a dynamic, inspiring and engaging presence. Give her some fire and she’s unstoppable. (Seriously, the first time Tara ever lit her fans was for a video shoot we did, and she’s never looked back.) Tara is currently working on her biggest artistic endeavor yet- a beautiful baby boy! Krstena keeps forgetting to give me bio info… so…. all I can really say is that she joined us last minute at our second Krampuslauf and hasn’t turned back since. Our resident hooper, and lover of all fire magic, Krstena is great at entertaining crowds with her natural stage presence and comfortable style. 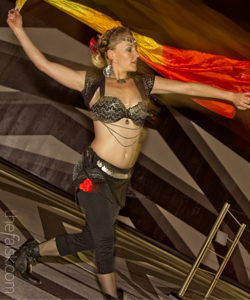 She’s an electrician by day and fire dancer by night, what else is there to say? Patrice’s main passions in life are Dance, Music, and the Arts in general. She has been dancing for 26 years; 18 of those years professionally. She spent her childhood working with the USO and the Richmond Ballet in Virginia, as well as competing in National Dance Competition Circuits regularly. Patrice graduated with a Bachelor of Fine Arts in Dance from University of the Arts in 2006. She toured internationally with ArcheDream for Humankind for 8 years. Her roles in the company included Director, Choreographer, Tour Manager, Script Writer, Prop Fabrication, and Musical Director. ArcheDream for Humankind took her to places such as TED Talks, Burning Man, Mardi Gras in New Orleans, Red Rocks Amphitheatre, BOOM Festival in Portugal, Fake Off on TruTV, and Taiwan for an extended tour. Patrice also works for PEX dealing with Artists, Art Grants, and Installs, and just enjoyed her second year as Stage Director for The Ghostly Circus show. After 2 decades of synchronized swimming and training as an Olympic water polo player, Jacqui Tichenor became a dancer in 2000. She began performing in theater, 15 years ago, as a founding member for ArcheDream for HUMANKIND. ArcheDream is an internationally touring mask and dance theatre company. Since 2000 she has performed in over 500 shows with ADHK. Jacqui co-wrote and directed most of ADHK’s shows between 2000 and 2015. In 2012 she wrote and directed ADHK’s “Inside Out” which did a 45 day tour in Taiwan and again in Portugal. In 2009 Jacqui was a scriptwriter, designer and performer at the Jan 2009 TED conference with ADHK and, musical group, Gamelan X from San Francisco. She has danced in many of ArcheDream’s performances on stage, and has experienced off stage roles for ADHK, including production designer, costume designer, script writer, production manager, assistant director, booking agent. Outside of the theater, she has developed dozens of conflict resolution, mask making and mask acting workshops bringing confidence to hundreds of at risk inner city youths. Jacqui joined Lux Arati in 2015 after retiring from Archedream. A powerful athlete with incredible compassion and enthusiasm for life. Jacqui recently started a project called the Pro Choice Project with the goal to normalize abortion and family planning by having men and women share their experiences. Jacqui recently became a full time mother, her biggest project to date.